The project is currently undergoing significant developments that aim to advance progress on several fronts: Scientific research and publication of the finds, public awareness of the importance of the Temple Mount heritage and of scientific facts concerning its history, and resumption of the sifting on June 2nd. In order to make all this happen we need your continued support! 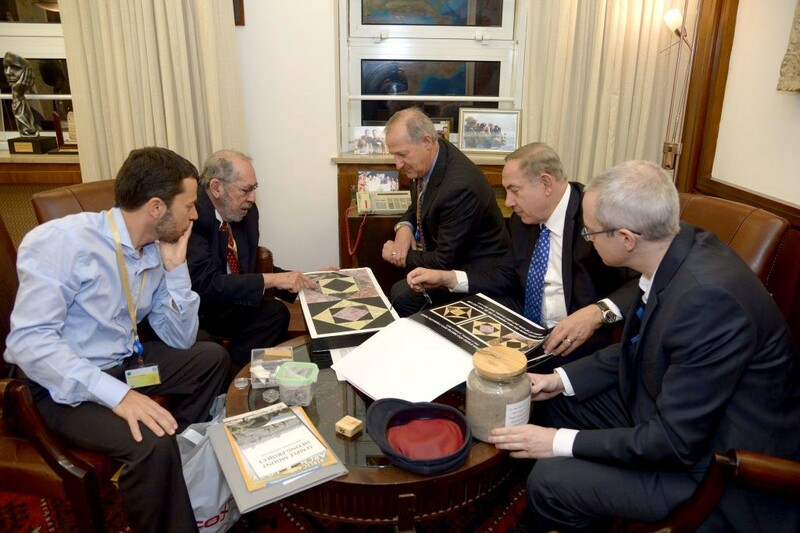 Unfortunately, the promise of funding by PM Netanyahu remains unfulfilled and we continue to rely on donations. In addition, our funding needs have increased due to the urgent need to resume the sifting. 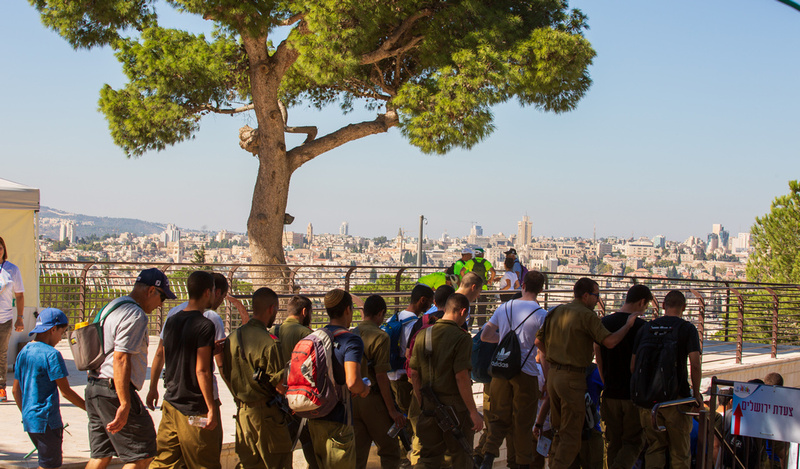 Approximately 30% of the soil removed from the Temple Mount has not yet been sifted. This soil is under imminent threat from erosion due to exposure to the elements, and to its mixing with other illegal refuse deposits. In addition, a large amount of excavated soil remains on the Temple Mount itself, and in the light of events during the last month of Ramadan (June 2018), we understand that this earth is also in danger and needs to be sifted, after finding a suitable controlled method for transferring it from the Mount. The project has progressed so far thanks to wide public support, and we are asking you to continue your support until all sifting and research have been completed. Gaby always says that the project’s most important find is its people, and in truth we are only investing so much effort in trying to continue this important work for you. We hope you will consider continuing your support to the project and help encourage others to join the Temple Mount Sifting Project mission. First the bad news. The government’s promises of funding have not been fulfilled. In September 2016, Prime Minister Netanyahu publicly vowed to fund the project, a promise repeated when he invited us to a meeting with him in December 2016. These promises have yet to be materialized, despite that the Prime Minister subsequently tasked the Israel Antiquities Authority to assess the Sifting Project’s funding needs and research plan. Over the following year, the IAA examined our research and budget proposals and even sought the recommendation of a committee of senior archaeologists from different academic institutions. This process lasted a whole year and finally on April 2018 the IAA director sent a letter to the Prime Minister office with the recommendation to fund a five-year research plan for the publication of the Sifting Project finds summing 2.4 million dollars. All in all, things moved very slowly, and more than once we sensed that someone was trying to prevent the funding. Eventually, we were told that the government had settled on a plan, whereby we would receive altogether five million NIS (1.4 million USD) from the budgets of the Ministry of Jerusalem Affairs, the Ministry of Culture, and the Office of the Prime Minister. However, before the decision could be ratified, the chief counsel to the Ministry of Culture halted the process, citing a pre-election moratorium, despite other legal experts’ claims that no such problem exists for a process that began over two years ago. Sadly, our case is being handled at a very sluggish pace. It appears that we won’t receive government funding before the elections, and it is doubtful that we will be able to restart the process afterwards. This puts us in a difficult position, but we hope that we will be able to keep afloat with donations from supporters in Israel and abroad, as we have done until now, until we have finished all research on the project’s finds. Despite that we haven’t succeeded in receiving government funding, and despite that we haven’t yet raised funds for this from other sources, we are renewing the sifting in a new, permanent location, this summer! The sifting site will be set up in the “HaMasu’ot Lookout” compound, near to the Hebrew University on Mt Scopus. The site is more accessible by public transport than the previous location, without security complications, and has an abundance of parking space. We are planning to launch the activity on the forthcoming Jerusalem day, 28th of Iyyar, June 2nd. 30% of the Temple Mount soil, currently residing in the Zurim Valley National Park, is still waiting to be sifted. Owing to the heavy research workload surrounding artifacts awaiting scientific publication, we planned on taking a longer break in the sifting. However, on recognition of the imminent threat to the remaining soil from erosion due to exposure to the elements, and to its mixing with other illegal refuse deposits, we realized that it was imperative to restart the sifting as soon as possible. 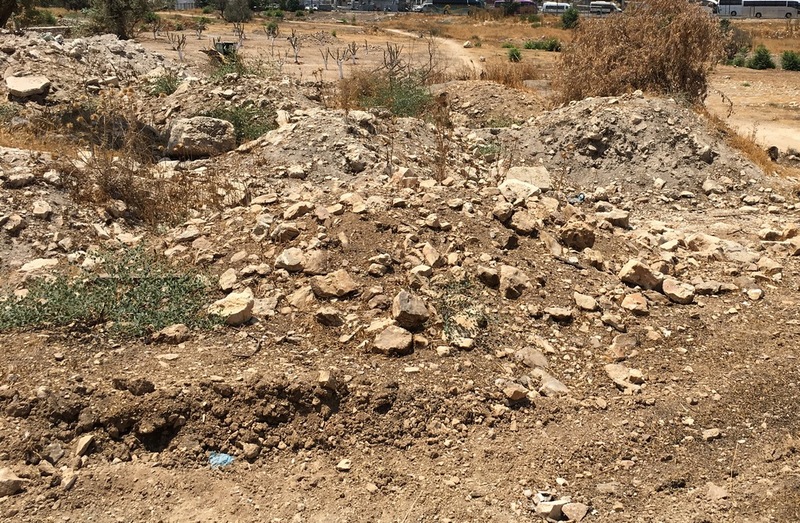 In addition, a large amount of excavated soil remains on the Temple Mount itself, and in the light of events during the last month of Ramadan (June 2018), we saw that this earth is also in danger and needs to be sifted after finding a suitable controlled method for transferring it from the Mount. Some of the Temple Mount dirt heaps that are stored at Tzurim Valley National Park. The heaps are in danger of erosion. Despite that the project has yet to receive the promised government funding, we aren’t suspending the process of rescuing the remains of the Temple Mount heritage from the unsifted soil, together with advancing with their research and publication. The project has progressed so far thanks to wide public support, and we are asking you to continue your support until all sifting and research have been completed. Gaby always says that the project’s most important find is its people, and in truth we are only investing so much effort in trying to continue this important work for you. In the coming weeks we will start marketing the sifting activity and setting up the site’s infrastructure. However, in order to ensure that the activity will be permanent and stable, we need to raise funds for the infrastructure and the activity in the first year; thereafter we hope that we will be able to operate the sifting site in an economically self-sustained way. We need your help with: 1) Donations to set up the infrastructure for the sifting and the first year of its activity. 2) Marketing the sifting activity. The more groups register, the less we will need to raise funds. See the How to Participate blog section for further details. Thanking you for your continued support over the years! The Temple Mount Sifting Project team.